The brew-day started off before church on Sunday. I got the mash started about 20 minutes before we got in the minivan. 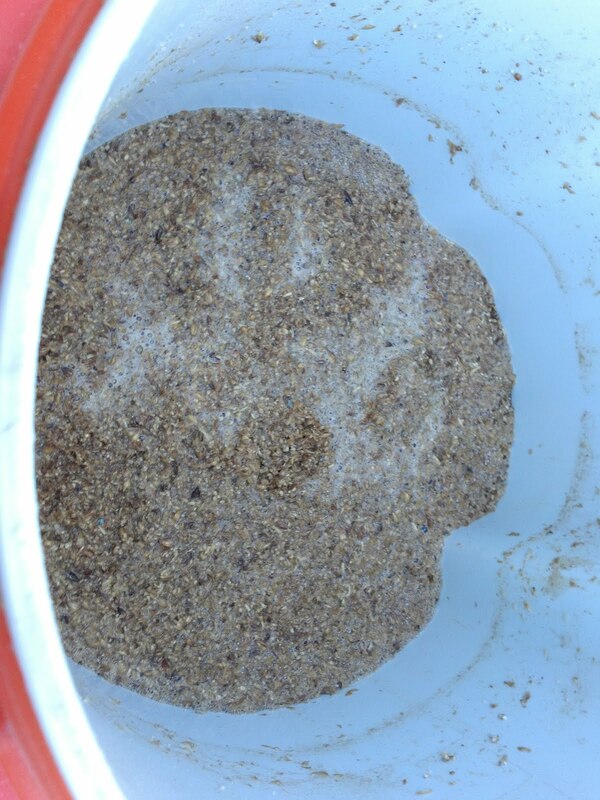 I let the mash go through church and started draining the mash tun when we got home. The temperature maintained a consistent 154ish the whole time. First wort into the pot. The boil was pretty typical. I ran out of propane early in the boil, but I was expecting this and had another tank ready to go. Everything went smoothly there. I did something a little different for chilling this time. I used my home-made pre-chiller to help get the wort down into the 60's, but I like to pitch my lagers at closer to 50. I racked my wort into my 5-gallon carboy and put that into my gott cooler (mash tun) surrounded by ice water. This ice bath got the wort down below 50. 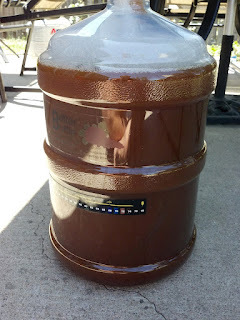 Then, I racked from the carboy into 2 Mr. Beer fermentors. It is easier to keep the Mr. Beer fermentors at proper lager fermentation temperature than it is my "big" carboy. Plus, by cooling all the way to below 50, much more of the trub settles out, which meant I got clearer wort into fermentation. 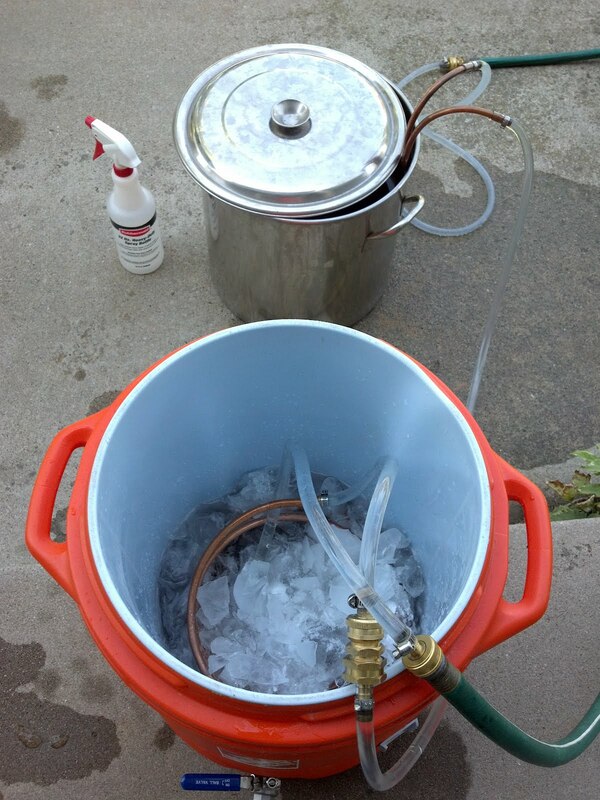 I heard about this technique on the pro-level on the Brewing Network. I forget what brewer was being interviewed, but he said he put his lagers into a "cold ship" (I think that is what he called it ... I might have this term incorrect) before going into the fermentor. It worked like a charm for me. I think I may adopt this for more of my beers. My own version of a "cold ship". 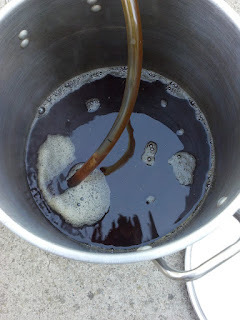 By the time I pitched, the wort was at about 52, which is perfect. 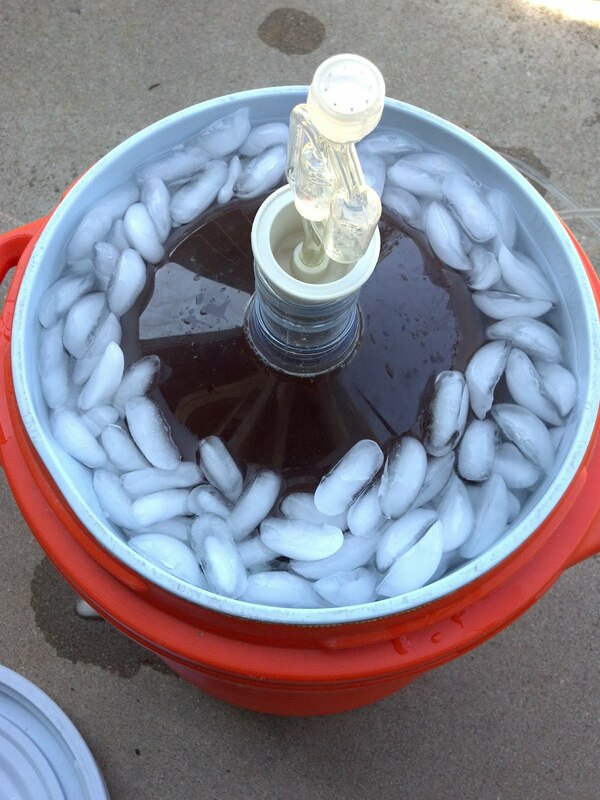 The OG was right at 1.058 (recipe planned for 1.057). The sample tasted very nice. I am looking forward to drinking this beer in late September and all of October. Yummy. Go Rockies! (as I type this, the Rockies have a .381 winning percentage. They are last in their division (again) and have the 2nd worst record in baseball. Pathetic.